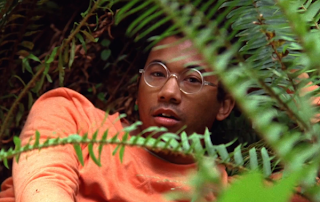 With the release of Anything In Return less than a month away, Toro y Moi’s Chaz Bundick heads deep into the words and returns with a tripped out video for “Say That”. It’s chock full of distant stares, heavy eyelids, and an intimate moment with a tree — or, what Into the Wild would look like if Emile Hirsch had found a stash of mushrooms. Check out the HARRYS-directed video below. Anything in Return is out January 22nd via Carpark Records.